Portable Cabins have became ever more popular in this day and age and for a good reason, they are excuse the pun, Portable and make a very good resource for a lot of companies out there that need portable accomadation, storage or facilities. Portable Cabins are used in a wide range of industries from School and Educational Facilities to Construction Sites and Office Buildings. They are typically used when there are spacial constraints or building control restraints on a location or if the need for a building is temporary for example on a building site when the job is completed the portable building can be transported to the next location. 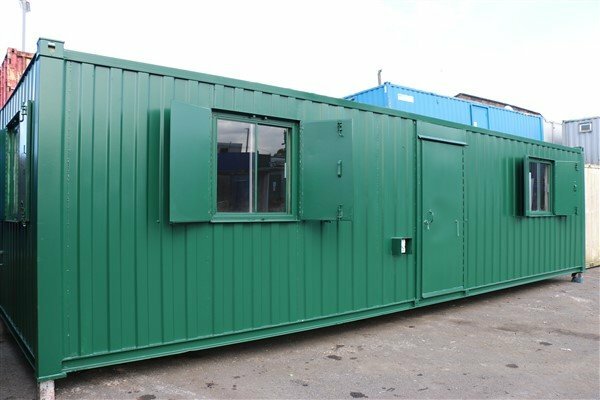 Temporary and Portable Cabins can be used for make Site Offices, Canteens, Drying Rooms, and Portable Toilet Blocks to name a few but the major advantage of these types of buildings is that they are Multi Purpose and to use that word again Portable. If for example you are an events management company, you could buy yourself a portable cabin to house a ticket office at an event. Once the Event has finished and you move on to the next one you could have the cabin fitted out with different facilities to provide a Canteen for staff or to store some of the event furniture. These buildings are cheap, portable, re-useable, versitile and are become the go to solution for people who want a cheap and chearful portable space for a multi purpose use.